X-Large - $221.99 Only 4 left! When you’re a vampire, you need to feast on the blood of the living! It’s just what you do. However, it can be difficult if you walk around in blood-soaked clothing that’s as raggedy as a nasty dishtowel. People will realize that there is something a bit off about you and before you can get a quick bite they’ll be long gone. 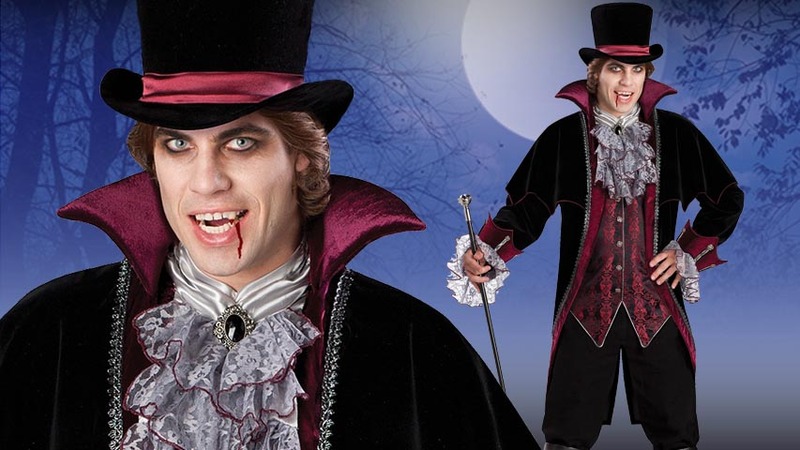 If the vampire life is truly the life for you, then you better upgrade your wardrobe before you starve to death! We think we may have just what you need. Check out this Versailles Vampire Costume! 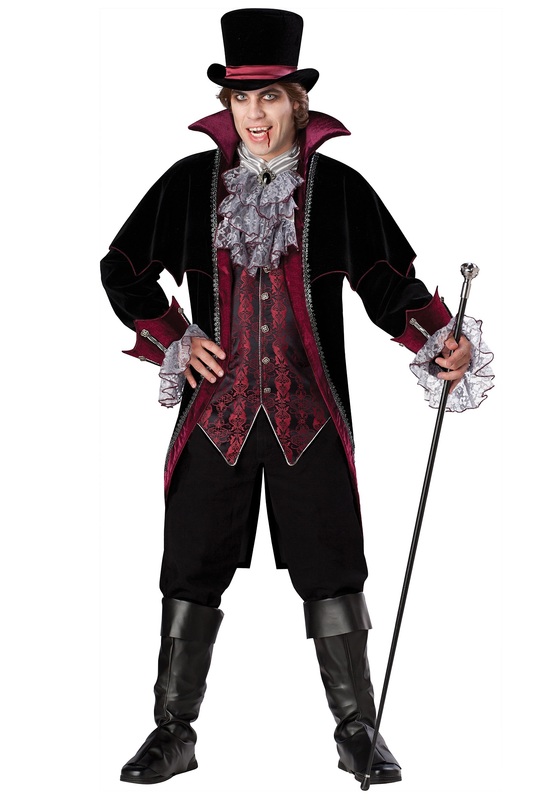 You’ll look as spiffy as a Duke from the Victorian period. You’ll be able to enjoy the nightlife to it’s fullest with this costume. You’ll blend right in with the sea of people, or juice boxes as you may see them. Whereas before people would run the opposite direction after one look at your blood-spattered attire, now they will be welcoming you into their lives with open arms. It will be quite the change that may take some time getting used to, so make sure to work on your personable skills before entering the public eye in this elegant guise. Once you master the art of conversation, you’ll be ready to hit the streets or the nearest gala event! No man or woman will be able to resist your charm and you will surely remain well fed for the rest of your days. Just make sure not to get too greedy otherwise you may blow your cover and then you have to deal with the whole “fleeing the country and starting a new life” thing, and that’s just a hassle.